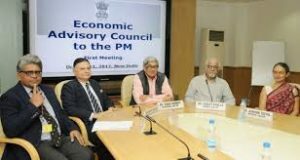 The Economic Advisory Council to the Prime Minister recently said that increased credit flows to agriculture sector will boost the sector. What Else Did EAC-PM Said? The Council also said that schemes like Mahatma Gandhi National Rural Employment Guarantee Scheme will bolster the agriculture sector. It cautioned the government not to deviate from the path of fiscal consolidation. It noted that the growth in global growth is slow to comedy and that emerging markets are providing the necessary growth momentum. It expects India to grow in the range of 7-7.5% which can be further increased by 1% with reforms to address structural problems in the economy. It commended the work of RBI in maintaining exchange rate even when there is volatility in crude oil prices. It further noted that there is an increase in financial savings and credit off take is growing. This is majorly to the services sectors from the private banks. It wanted the government to promote exports throughout support policy interventions. It is constituted to advice to the Prime Minister in economic matters like macro economic issues, industrial output etc. It is a non-constitutional body with a term parallel to that of the PM. 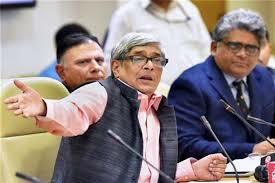 The current Chairman of the Council is Bibek Debroy. It Publishes two reports annually – Economic Outlook and Review of the Economy of India. It also develops monthly reports on economic developments in the country and submits them to the PM. The PMEAC is doing its part in the advisory role. The actual implementation of the recommendations is what is needed to helpboost the economic growth of the country.